H. Vernon Hall, 77, of Petiticodiac passed away on Tuesday, March 19, 2019 at the Saint John Regional Hospital. Born in Petitcodiac, he was the son of the late Murray and Muriel (Nicholson) Hall. Vernon spent his early working life on the family farm, and spent many years after as a long haul trucker and later years as a local trucker and helping on the farm. He enjoyed being outdoors on the four wheeler. Vernon was a member of the Petty Trailblazers and enjoyed their outings. Survived and sadly missed by his wife of 58 years, Esther (Orr); children, Karen Hall Middleton (Dennis), Todd (Sharon), Mark; Grandchildren, Austin, Izik, Dakota, Jordan and Brooklyn; sister, Marion Collette (Gerry); brother, Cyril (Marilyn); several cousins, nieces and nephews. 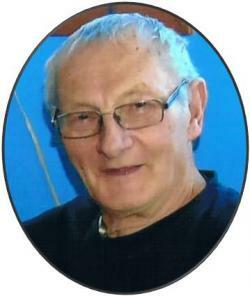 Vernon will also be missed by the many who benefitted from the kindness and hospitality of their home. Family and friends are invited to a Celebration of Vernon`s Life at Salisbury Funeral Home, 3350 Route 106 (372-4800) on Saturday, March 23, 2019 from 2 - 4 pm. Interment will be held in River Glade Baptist Cemetery at a later date. If desired, memorials to the Friends of the Moncton Hospital or charity of choice would be appreciated.